Something from my bar whenever I feel like it episode CXXXVIIIsteemCreated with Sketch. This is the closest thing I had to a holiday bottle. 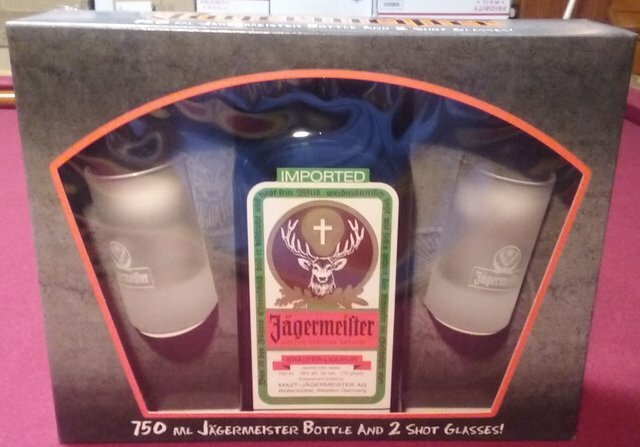 It's a Jagermeister gift set. 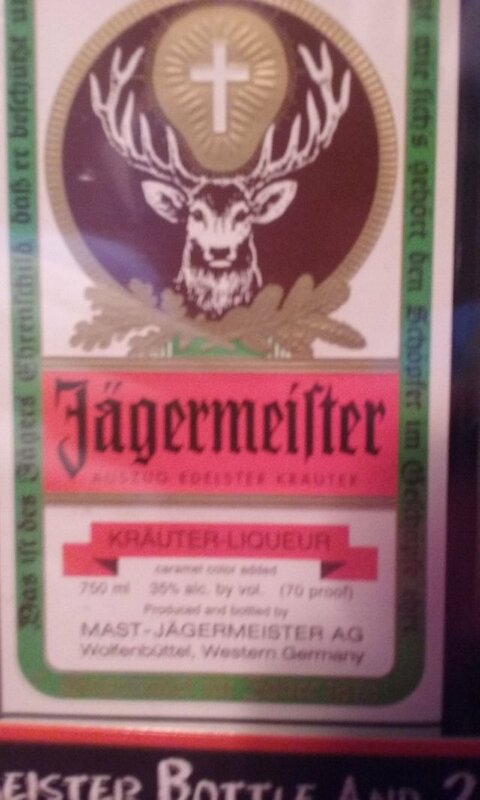 Picked this up at the liquor store a few years back. They always have neat things around the holidays. 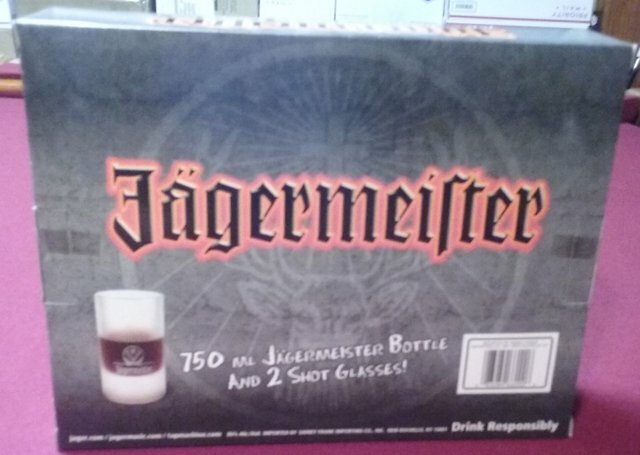 It's a bottle of Jager and a set of shot glasses. Pretty big shot glasses from the looks of it. I kept it in the original box. 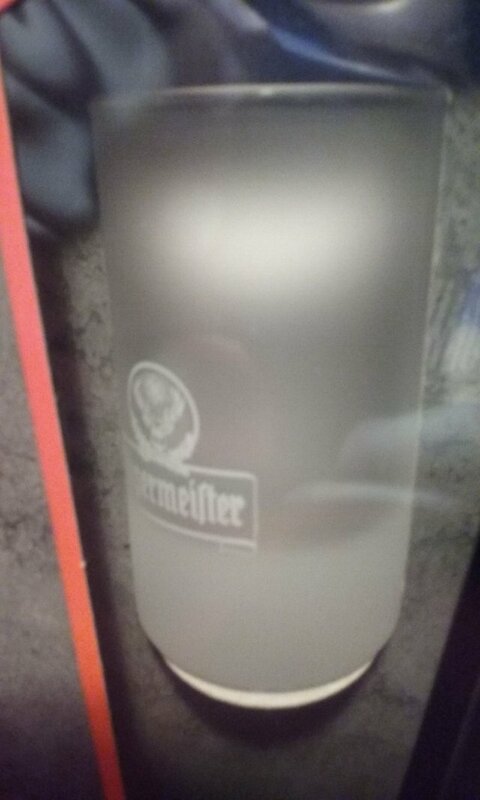 Don't know if I will ever open it.